The train wreck the 9:30 Club tried to warn against has come to pass. Late Monday, the U.S. Justice Department gave Live Nation and Ticketmaster the go-ahead on the concert promoter and ticket-seller's merger, after imposing major conditions meant to create stronger competitors and lower ticket prices for consumers. Assistant Attorney General Christine Varney said Ticketmaster would have to license its ticketing software to competitor Anschutz Entertainment Group Inc. and sell its subsidiary Paciolan to Comcast Corp.'s subsidiary, Comcast-Spectacor. The conditions would result in two large, vertically integrated competitors — AEG and Comcast-Spectacor — that would vie for ticketing contracts with the merged entity of Live Nation Inc. and Ticketmaster Entertainment Inc. The merged entity would also be under a 10-year court order prohibiting it from retaliating against venues that choose to sign ticket-selling contracts with competitors. As a concertgoer you have already felt the pain, and if Ticketmaster and Live Nation get their way, it’ll get worse. In the last 12 years, since Live Nation and its predecessor started its widespread takeover of the concert industry, concert ticket prices have shot up 82% while the consumer price index has gone up just 17%*. 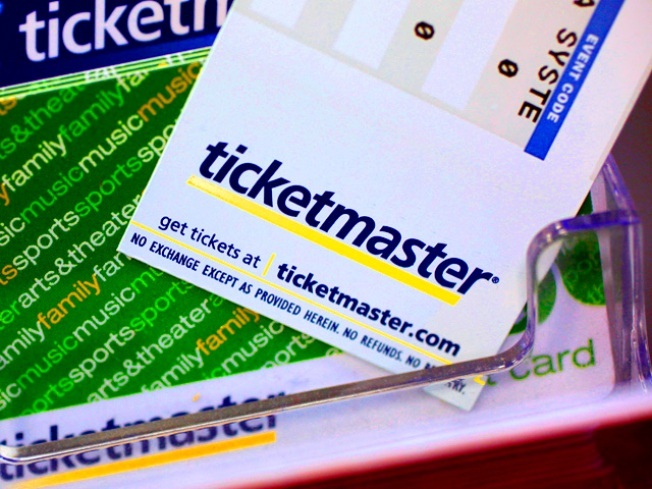 Ticketmaster has signaled that it intends to use questionable “innovations” such as paperless ticketing to extend its monopoly power over the secondary market. We believe that this may constitute an unfair and deceptive trade practice. "The DOJ has asked consumers, independent promoters, ticket brokers, artists, and venue owners to take a very large leap of faith...," said Sally Greenberg, executive director of the National Consumers League, a founding member of TicketDisaster.org. "While we appreciate the efforts of the DOJ to extract meaningful concessions from the parties, we remain concerned that these two companies, with a history of anti-consumer behavior, will abide only by the letter, and not the spirit of the settlement agreement. It is therefore critically important that the DOJ hold the merged company’s feet to the fire..."
The DOJ as overseer theme was echoed by others, including Seth Hurwitz, chairman of I.M.P., which owns the 9:30 Club. "It all comes down to whether the DOJ will indeed be the watchdog they claim they will be," Hurwitz said in a statement. "The department seems to understand the issues, our concerns, and the fears the entertainment industry holds about Live Nation’s and Ticketmaster’s predatory and anticompetitive behavior. This puts Live Nation Entertainment under a microscope, a place we wished Ticketmaster and Live Nation were under a long time ago." The merger has also been seen as a threat to the four major record labels. As CD sales dwindle, most of the action in the music industry is now centered around concert tours, a business that largely excludes the labels, according to the Wall Street Journal. Meanwhile, Liberty Media -- Ticketmaster's largest shareholder -- on Tuesday unveiled plans to buy as much as 34.5 million shares of Live Nation, which would more than double its stake in the new company from 15 percent to 35 percent, the WSJ reported. Live Nation and Ticketmaster, both based in California, said the merger will streamline their operations, ensuring their survival. They also said music fans can benefit through lower ticket prices because the merged company can earn money in new ways. "We are close to finalizing the creation of a new company that will seek to transform the way artists distribute their content and fans can access that content," Michael Rapino, who will head the new company, told the Washington Post. Ticketmaster operates 7,100 retail outlets and 17 call centers. In 2008, the company sold about 141 million tickets valued at about $8.9 billion. Live Nation, based in Beverly Hills, operates 140 venues and entered the ticketing business in January 2009. The Justice Department's settlement was endorsed by seventeen states and Canada.